"Both my father and sister had legs amputated and I really don't want that," Robert said. "I'm optimistic this new procedure will work." Robert is referring to a clinical trial he's participating in at Holy Name Medical Center. The study uses cells from the placenta of a healthy birth to help the body build more blood vessels. These new vessels should increase blood flow, which enhances healing of chronic wounds. Standard approaches have been ineffective in improving his circulation and Robert has become less and less mobile. But his condition makes Robert eligible to participate in the Pluristem CLI Study, (critical limb ischemia – inadequate blood supply) which is being conducted at only six hospitals nationwide. Holy Name is the only New Jersey hospital involved in the study, which has been fast-tracked by the Federal Drug Administration. "Holy Name was chosen because of its successful participation in more than 250 clinical trials," said Dr. Ravit Barkama, AVP of Clinical Development at Holy Name. "It's really intriguing to convert the miracle of childbirth into therapeutic options." In the trial, the cells injected into the patient's limb stimulate the body's own regenerative mechanisms to create new blood vessels. 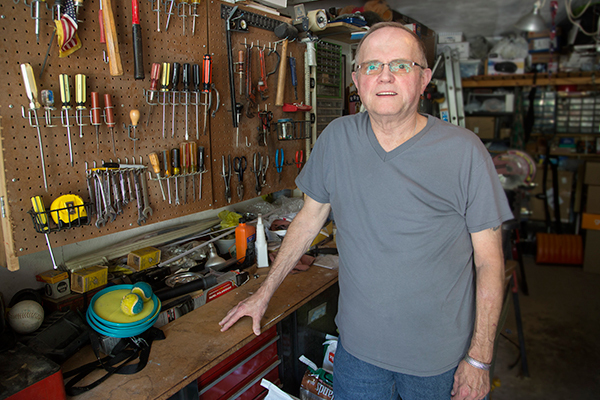 Most people grow new vessels naturally but Masterson, 76, has diabetes, one of the diseases that can interfere with this process. The trial is indicative of the new approaches being tried in the treatment of long-standing illnesses and conditions that until now have seen limited success. Dr. John Rundback, Director of the Interventional Institute at Holy Name, said it's essential to create new ways of addressing these illnesses. "We should be thinking of the future for therapies whereby we provide biological solutions such as stem cells, genetic therapies and personalized medicine," Dr. Rundback said. "We really need these types of approaches to recruit the body's own healing capacity." Robert is one of the nearly 7 million people in the U.S. who have non-healing wounds, and the number is expected to rise. While many of these patients endure life-saving amputations, their quality of life is often drastically diminished. More alarming, the 5-year survival rate for amputees is only 50 percent. As part of the study, Robert is undergoing two sets of injections, several weeks apart. They may contain stem cells or a placebo. "Hopefully this works – if not for me than for someone else down the road," Robert said.